Another TDP-2-800 continuous pyrolysis plant was manufactured and sent to the Krasnoyarsk region within limits of procuring of the oil waste treatment center. 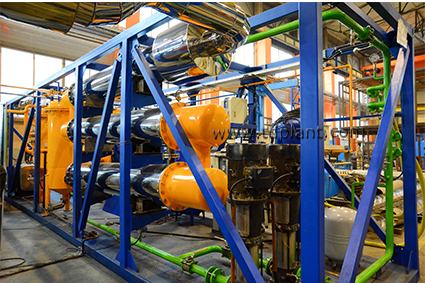 TDP-2-800 continuous pyrolysis plants are manufactured and assembled at the premises of IPEC. At present completely new plant with enhanced capacity of 2000 kg per hour where cutting edge process solutions will be implemented.